Philadelphia Reflections: Howe's Choice: To Philadelphia, or Saratoga? Howe's Choice: To Philadelphia, or Saratoga? Nations at war traditionally vilify the leader of the enemy, and so Sir William Howe has usually been portrayed as a lazy, illegitimate uncle of the King, a womanizer lacking in military savvy, and a former parliamentary member of the minority party supporting peace with the colonies. But to go on this way is quite unfair to Washington, who outfoxed and out-generaled a tough and very clever soldier who was by no means a pushover, and who fought hard to win. In retrospect, it can be seen that Howe's army was crammed into winter quarters on the Perth Amboy-New Brunswick bluff across the river from Staten Island in the winter of 1777, following the defeat at Trenton. Washington's troops were meanwhile in a fairly impregnable position around Morristown. If Howe went back along the Raritan toward Trenton and Philadelphia, he could expect to be butchered by snipers behind trees. If he embarked on his ships, he would be vulnerable during the two days of so required to break camp and load the ships. Washington's problem was actually just as bad. He had no way of knowing whether he had to defend against an encircling movement at Morristown, against a renewed invasion toward Trenton and Philadelphia, or against a quick movement at sea by the battleships. 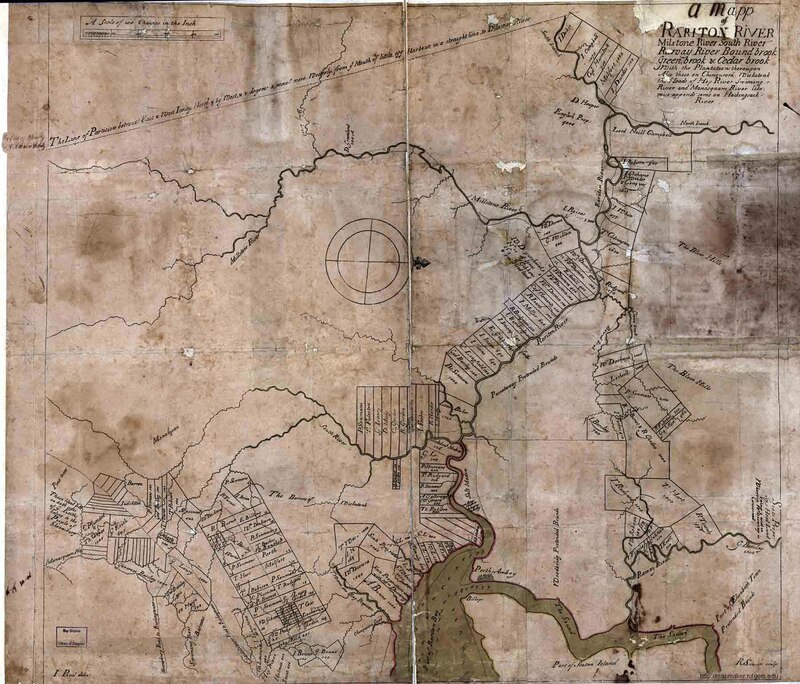 If Howe embarked, he might be going to Albany to rescue Burgoyne, or to Fort Lee to encircle Morristown, or to Philadelphia, or even to Charlestown. Anyone of these choices would mean that Washington would have to hurry overland to catch him. It now seems clear that Howe had decided it was safe to abandon Burgoyne. He might have tried to capture Philadelphia and get back to Albany by September, but evidently, this seemed too ambitious and fraught with unexpected accidents, as events later proved to be true. Clear and unambiguous orders by Lord Germain in London were mislaid and never reached him. By implication, he was being told to use his best judgment. So he decided on a double option. He would send sorties out in all directions to keep Washington guessing and to entice him to come down from his mountain fastness into a pitched battle with British regulars. Failing that, he would get on his ships and take Philadelphia. Furthermore, Howe never told another soul what his plans were, except by sending a spy with misleading plans sewed into his coat, intending for him to be captured by the rebels. Washington, however, essentially refused to budge. Finally, Howe ordered an embarkation onto his ships, and actually loaded a contingent of Hessians on board. Although Washington was mistrustful of a trick, his officers persuaded him to attack the "vulnerable" British while they were loading onto the transports. As soon as Howe heard of Washington's movement he immediately issued orders to turn the whole army around and trap Washington. He thought he now had his chance to catch and destroy the Continental army. As things turned out, it didn't work and Washington escaped with most of his troops. Fearful of another such trap, he then held back perhaps too long and helplessly watched the ships load, weigh anchor, and sail out to sea. Where were they going? Not another person on the British (or Loyalist) side knew the answer, and the ships were far out to sea, invisible before they turned in whatever direction they were going. Was it North, or South? A week later, word came to Washington that the fleet had been sighted off the mouth of Delaware. It was time to move South, in a big hurry, on foot. Howe was going to go to Norfolk, but it wasn't even certain whether he was coming back up the Chesapeake, or going still further South to Charleston. 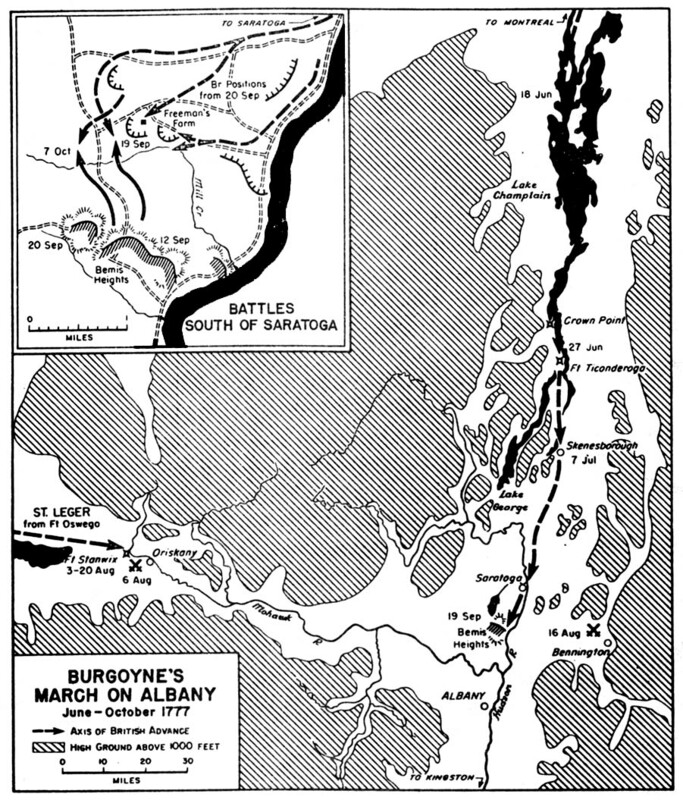 It remained conceivable that he would wait for Washington to move his troops South, then double back to New York and Albany to Join Burgoyne. As we now know, Howe did turn up the Chesapeake to land in the rear of Philadelphia. And then Washington also guessed right and lined up his troops at Chadds Ford of the Brandywine Creek. Both of them were shrewd and very quick. Howe had won a major victory with superior resources. But as we shall see, Washington wasn't through with him.